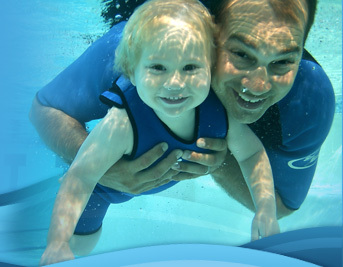 Like frolicking, graceful dolphins; infants, toddlers, and tykes 8 months to 4 years old can swim with ease, joy, and confidence when taught with Rob and Kathy McKay's gentle, positive, child-centered method. This is a great supplement to Parent & Me 101. Rob and Kathy McKay guide parents in the sensible, child-centered learn through play approach. A prime opportunity for family bonding and heartfelt hugs. Through games, activities and songs they share methods for water adjustment, propulsive kicking, breath holding readiness and submersion cues. 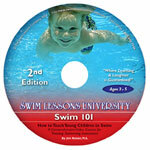 The long term swimming goal of this first in the series is to gradually build on the child's foundation so that they can eventually perform a 5 second swim with ease and confidence. The skills learned in this video prepare infants and toddlers for the eventual ability to perform safety skills which are demonstrated in Diaper Dolphins Volume II. 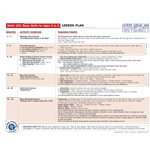 A printed 4 page teaching supplement leaflet is included.